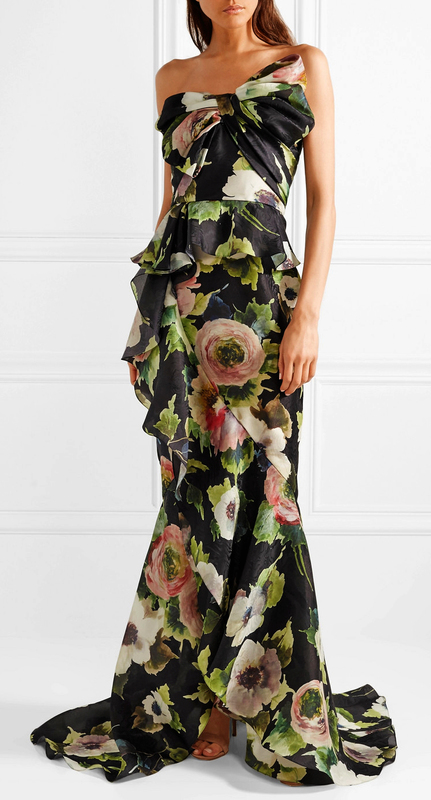 The blooming florals that adorn Marchesa's striking gown are inspired by Dutch oil paintings of the 17th century - they really pop against the black background. 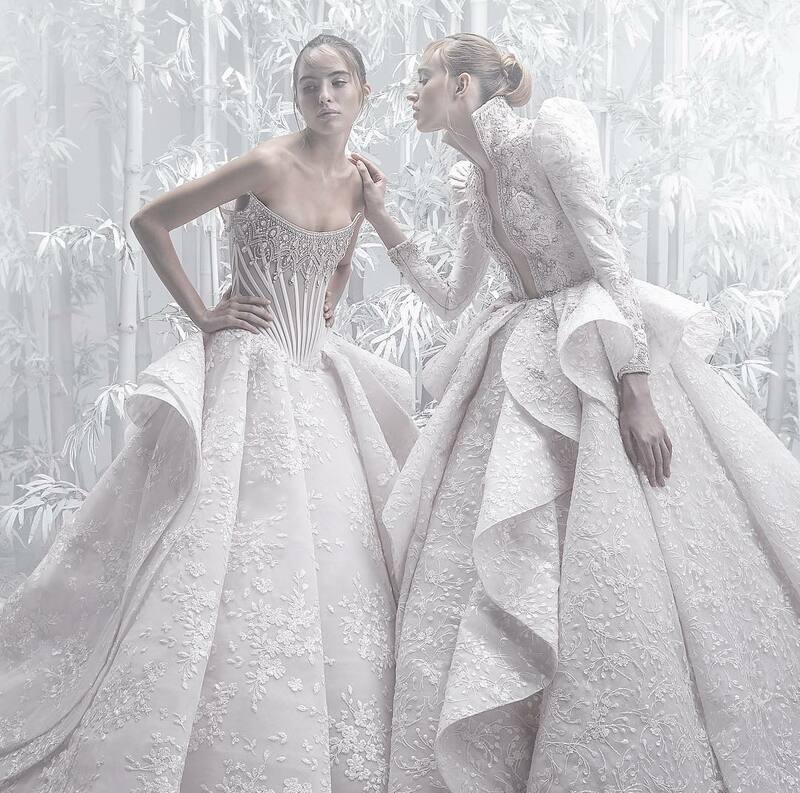 Made from weightless silk-blend moire, it's trimmed with a flouncy ruffle that begins at the waist, creating a flattering peplum shape, before cascading down the skirt to the dramatic train. 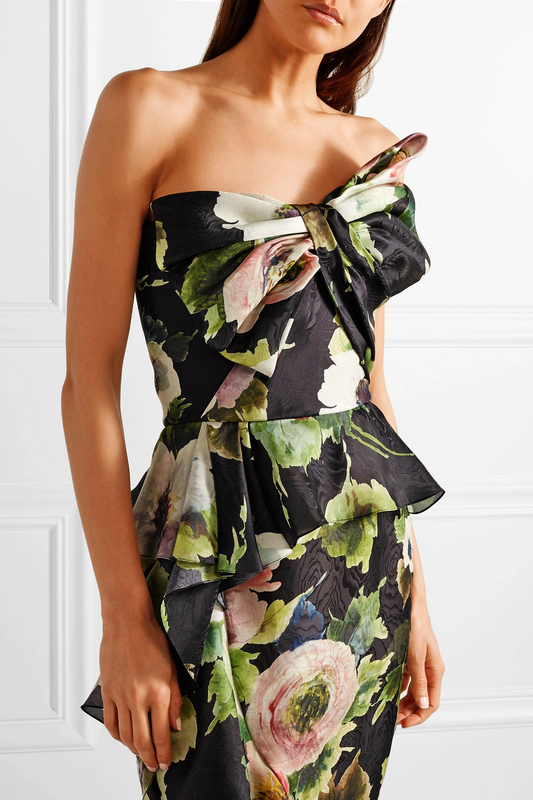 The bow-embellished bodice is fitted with supportive boning so you can forgo a bra. 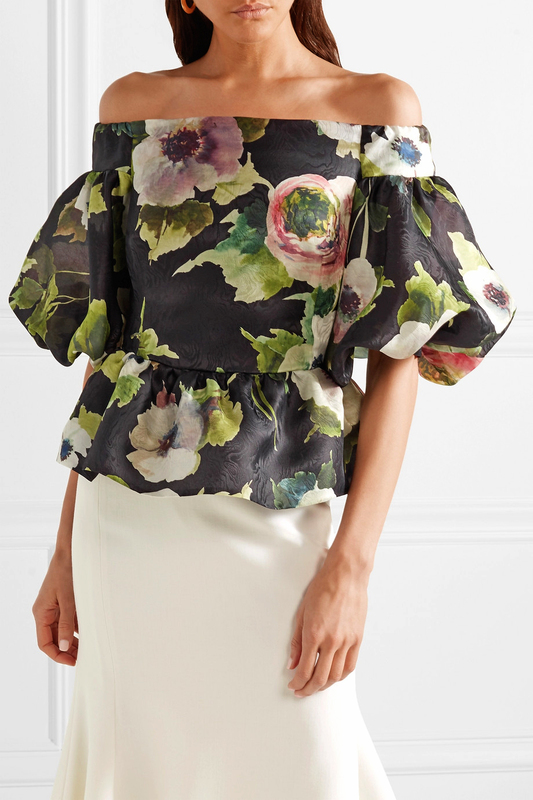 Marchesa's shoulder-baring top is a beautiful option for summer weddings or daytime events. 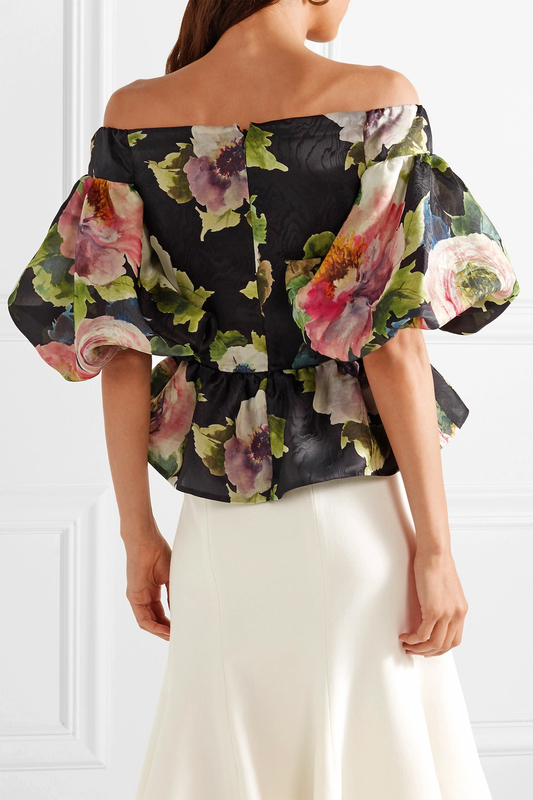 It's made from lightweight silk-moire printed with a pretty floral motif and has a flattering peplum silhouette accentuated by voluminous balloon sleeves. 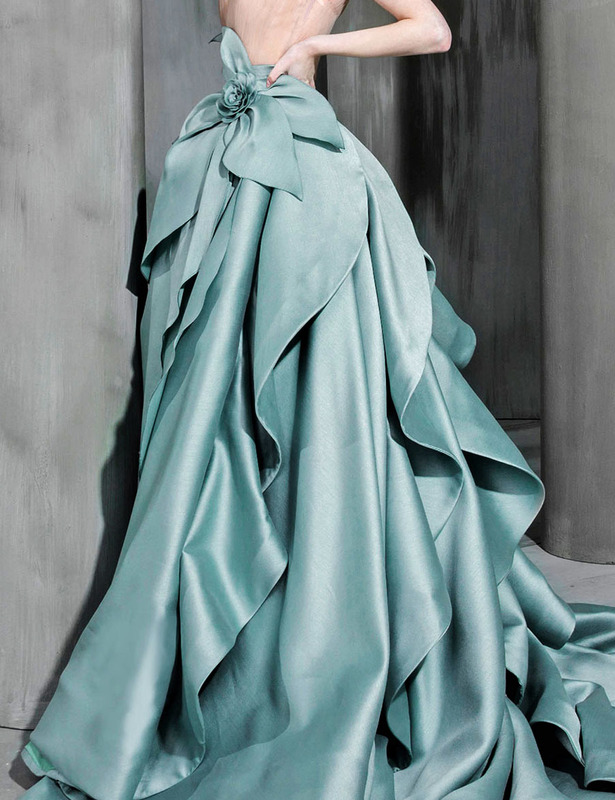 Try yours with a white skirt and simple sandals.